Excuse me but did you know that Cole Sprouse wasn't actually meant to be Jughead? With season one drawing to a dramatic and (probably) heart-stopping close, we bet there's a bunch of stuff you didn't even know about your new favourite TV show, Riverdale. Every time the cast sit down for a chat or an interview, they reveal some new piece of information and honestly, we can't get enough. Brace yourself for the secrets... there's some mind-blowing bombshells in here! 1) The opening credits mirror that of Twin Peaks and is an homage to David Lynch. 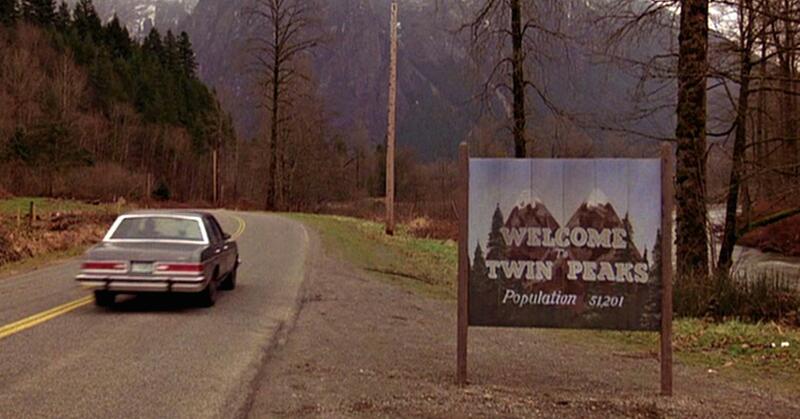 If you compare the two opening credits, the river, the trees, the creepy mist and the town signpost all throw it back to the eerie Twin Peaks, one of the shows that served as inspiration for Riverdale. 2) The top view of Riverdale is the same one that is used in Pretty Little Liars and Gilmore Girls. According to Reddit, the aerial view of Riverdale is actually stock footage that features in a bunch of your favourite TV shows and movies. 3) And the set itself is used on Pretty Little Liars, Gilmore Girls, and Hart of Dixie. 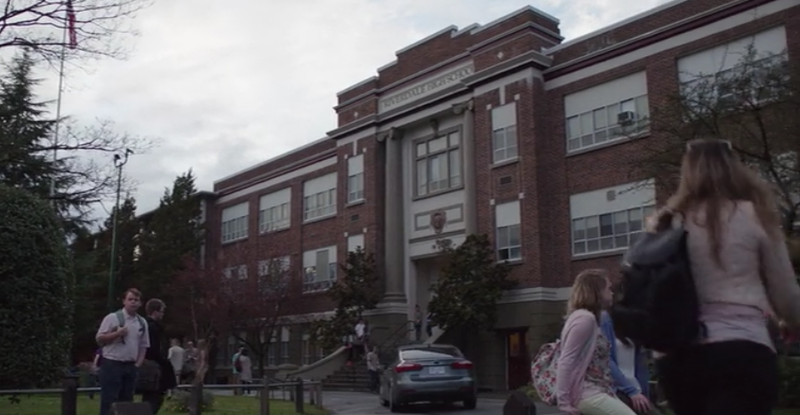 At the top is Rosewood High School from Pretty Little Liars and below is Riverdale High School. 4) The set for Pop's Diner is actually real and it’s so convincing that a bunch of truckers once pulled up to get a burger. Cole revealed the hilarious mishap in his Reddit AMA. 5) Cole Sprouse originally auditioned for the role of Archie. Yes, your resident ginger fuccboi Archie Andrews could have been played by the legend you know and love as Jughead. Cole revealed that he was first given the task of reading for Archie but later read for Jughead after realising that he was the narrator for the entire show and that there was no risk of him getting killed off. 6) KJ Apa was one of the last people who auditioned for Archie. According to the showrunner Roberto Aguirre-Sacasa, the casting directors saw almost "every redheaded young guy in L.A." before New Zealand-born, dark-haired KJ walked through the door. Aguirre-Sacasa said as soon as he read, he was "immediately Archie Andrews." It was also KJ's first audition in the US - TALK ABOUT LUCK! 7) And Madelaine Petsch was brought in to audition for Betty. Madelaine originally read the role of Betty even though the producers wanted her to be Cheryl all along, but the role of Cheryl was actually a secret at the time. 8) Veronica Lodge is Camila Mendes’ first on-screen role. Imagine that... fresh outta college and your first on-screen role is one of the main characters in a huge hit teen drama?! Dream come true. 9) The character of Veronica is based on Blair Waldorf and Summer Roberts from The OC. Camila says that she drew on the essence of Blair - strong, in control and full of pride - and the humour of Summer to characterise Veronica but she doesn't think that Blair and Veronica are similar in anyway. 10) In the scene where Alice Cooper is serving cherry pie, it’s a callback to her character in Twin Peaks. Throughout the show, there's subtle callbacks and references to shows that influenced the series or other projects that the cast members once worked on. 11) Molly Ringwald, who plays Archie's mum was in The Breakfast Club and Cheryl refers to the main squad as The Sad Breakfast Club. 10/10, would watch a remake of The Breakfast Club with the new squad in it. 12) Every episode title is based on a movie and each episode’s storyline has a small link to the plot of the movie. 13) Camila Mendes and Cole Sprouse went to college together. WHAT?! 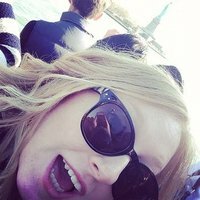 Apparently, they met a few times at parties during their time at NYU but they weren't friends. And Cole didn't even remember her when they met on the Riverdale set. Awks. 14) Lili Reinhart and Madelaine Petsch actually live together IRL. 15) Jughead’s hat actually has a meaning. Apparently, it's some sort of working class symbolism. Back in the day, factory workers would cut off the brims of their fedoras so they could see better. They then passed those hats down to their kids and they eventually became a trend among youngsters during the time Jughead debuted in the Archie comics back in 1941. 16) Riverdale was originally supposed to be a time-travel movie. According to Aguirre-Sacasa, live-action Archie was originally supposed to be a time-travel movie and starring none other than Louis CK. Thank GOD it ended up as a TV show! 17) They shot a bunch of different endings for Jason's murder (episode 12) so no one would ruin or spoil it.